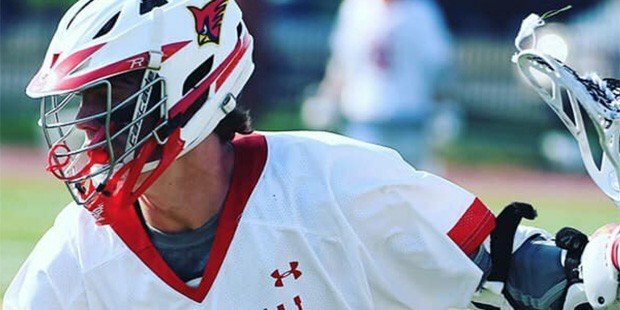 Calvert Hall welcomed in Philadelphia power Malvern Prep to Kelly Field on a rainy Thursday afternoon and broke free from a 6-6 halftime tie with a strong second half and pulled away for a 14-9 victory. The Cardinals (4-1) got big performances from several players as six different scorers had multi-point games, led by Jack Sawyer and Cole Herbert, who each had three goals and three assists. Grant Mitchell and Josh Webber each scored twice, while Justin Mintzer and Connor Mitchell had one goal apiece and combined for three helpers. Also adding to the scoring were Colin Stewart and Tyler Dunn, with one goal each, and Truitt Sunderland, who had an assist. It was also a great day in the face-off X for Calvert Hall as Chris Cottone won 9-of-14 and Tyler Dunn won 10-of-12. Jackson Marshall had five saves. Matt Civitella of Malvern had a game-high four goals, while Colin McGull and Nick Potemski combined for three goals and three assists.